Many applied. Few were chosen. 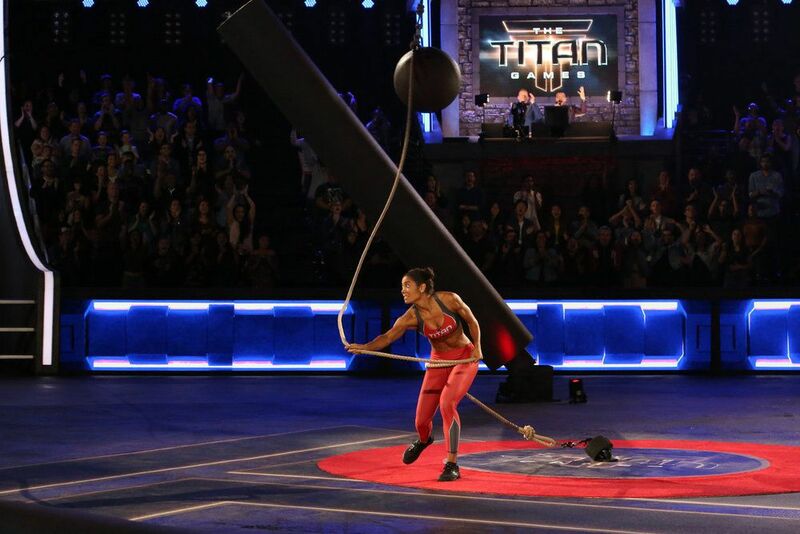 And among the 64 athletes selected to participate in Dwayne “The Rock” Johnson’s new game show, “The Titan Games,” are two Academy of Art University alumni, Jasmin Guinn and Nikkie Neal. The Rock developed “The Titan Games” to show how everyday people like the participants can perform jaw-breaking feats. Those who are able to become “Titans” have the opportunity to win $100,000. The first episode aired on January 3rd, in which Neal competes in grueling challenges that test physical and mental strength. Tune in to catch Guinn in later episodes! Guinn, an alumna of the School of Animation & VFX, has been an athlete all her life—even when she was in art school. During her four-year career on the Academy’s basketball and track & field teams, she earned several PacWest honors and other top awards. She was also nominated for NCAA Woman of the Year. Read more about Guinn’s athletic accomplishments here! Before college, Neal played multiple sports, including volleyball, swimming, and track & field. However, she put sports on hold to focus on art school. After her grandfather passed away, she turned to fitness as a way to cope and power through difficult times. Neal currently works as a fitness model and hopes to soon get into acting. The road to “The Titan Games” wasn’t fast or easy for Neal or Guinn. With more than 100,000 applicants—the most in any NBC game show’s history—contestants had to endure a rigorous three-day audition. After the audition, Neal and Guinn each received a phone call from The Rock himself: they’d made the cut for the 10-episode series. Neither can talk about the results once filming wrapped up last fall, but they both agree that it was the experience of a lifetime. Congratulations and good luck to Neal and Guinn! Show your support for our art school alumni, and check out the next episode of “The Titan Games” on January 10 at 8 p.m. EST on NBC.